[Feb 19] A new journal paper is accepted to be published in IEEE Systems Journal! [Feb 19] Two conference papers are accepted to be presented at ITEC 2019 to be held in Detroit, MI in June 2019. [Feb 19] Two conference papers are accepted to be presented at 2019 IEEE PES General Meeting to be held in Atlanta, GA in August 2019. [Jan 19] A new journal paper is accepted to be published in IEEE Transactions on Transportation Electrification! Click here for details. [Nov 18] PI Kisacikoglu gave a talk at Mississippi State University. Thank you to IMPRESS Lab for their hospitality! Click here for details. [Nov 18] PI Kisacikoglu attended NSF CPS PI meeting in Washington, DC. Prof. Kisacikoglu gave a lightning talk and presented a poster on our group's current NSF CRII project. [Sep 18] We attended at IEEE Energy Conversion Congress & Expo (ECCE) in Portland, OR. [Aug 18] We attended IEEE PES General Meeting and presented our paper: "Learning EV Integration Impact on a Low Voltage Distribution Grid". [July 18] Our group visited University of Central Florida, and we gave a talk at the Dept. of Electrical and Computer Engineering at UCF. Thank you for Dr. Murat Yuksel for his hospitality! Here is more info. [July 18] Our group visited dSPACE in Wixom, MI. We attended to a two-day training on dSPACE real-time systems. Click here for more info. [June 18] We attended to IEEE Transportation Electrification Conference (ITEC) in Long Beach, CA. We presented two papers as oral lectures. [May 18] We hold a four-day workshop to learn how to use OPAL-RT OP5600 available at FIELD. Click here for more info. [Apr 18] Emin Ucer presented his poster at 2018 IEEE PES T&D in Denver, CO.
[Mar 18] PI Kisacikoglu gave a talk at University of Tennessee. See the video for the talk here. [Mar 18] Our paper entitled "Development of a DC Fast Charging Station Model for Use with EV Infrastructure Projection Tool" is accepted for presentation at 2018 IEEE Transportation Electrification Conference. 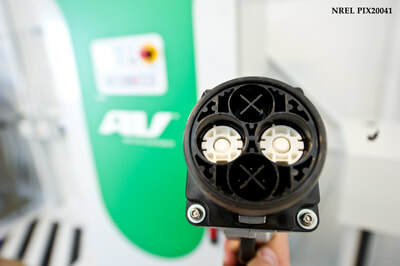 [Mar 18] New funding: We have been awarded a new NSF Project Grant on Internet-Inspired Autonomous EV Charging. Click here for details. Distribution Grid" is accepted for presentation at 2018 IEEE Power and Energy Society General Meeting. Click here for the paper. Congrats to Emin Ucer! [Dec 17] Our paper was in the list of top 50 popular articles published in IEEE Communication Magazine in the month of November 2017. Here is the link. [Nov 17] Our paper, entitled "Big Data Analytics for Electric Vehicle Integration in Green Smart Cities" has been published in IEEE Communications Magazine. Here is the link for the paper. [Nov 17] A collaborative paper with Florida International University and Virginia Commonwealth University on Authentication of Vehicle-to-Vehicle Charging has been published in International Conference on Mobile Ad Hoc and Sensor Systems. Here is the link. [Oct 17] Ph.D. student Emin Ucer's first paper entitled "Analysis of an Internet-Inspired EV Charging Network in a Distribution Grid" is accepted for presentation at the 2018 IEEE PES Transmission and Distribution Conf. and Expo. Click here for the full paper. Congrats to Emin! [Oct 17] Prof. Kisacikoglu is appointed as Secretary of Transportation Systems Committee in IEEE Industry Applications Society. [Sept 17] Our research group attended to NAPS 2017 in Morgentown, West Virginia. [Jul 17] New funding: We have been awarded a new project funded by National Renewable Energy Laboratory on modeling High Power multi-port DCFC Stations. Click here for details. ​[Jun 17] We did a presentation on modular bidirectional EV chargers at ITEC 2017 in Chicago. Click for the presentation. [May 17] Our paper, entitled "Distributed Control of PEV Charging Based on Energy Demand Forecast," is accepted for publication in IEEE Transactions on Industry Informatics, Special Section on EVs as Smart Grid Enablers. Here is the link for the paper. [Mar 17] Our paper is accepted in 2017 IEEE Transportation Electrification Conference and Expo (ITEC2017). Click for the full paper. [Feb 17] Lab construction in FIELD has started. [Jan 17] Emin Y. Ucer joined FIELD as a new Ph.D. student. [Jan 17] Our paper is accepted in IEEE Vehicular Technology Conference 2017. Click for the paper. [Dec 16] Our research was presented at 2016 IEEE Global Conference on Signal and Information Processing, Symposium on Smart Grid Infrastructure on December 9, 2016. Click for the paper. Here is the presentation.